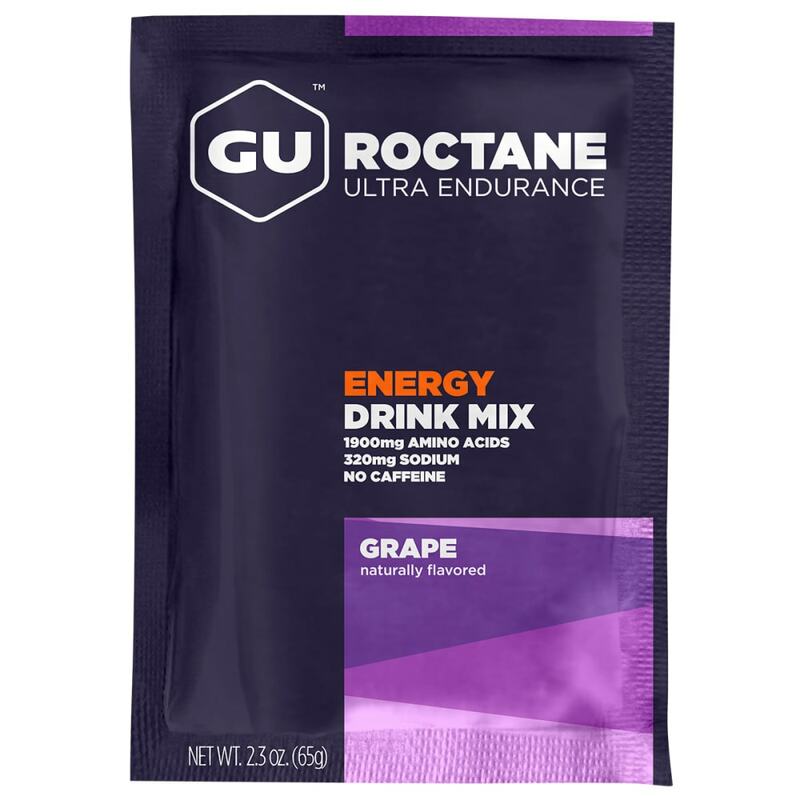 Created for high-intensity and demanding activity, GU Roctane Energy Drink Mix packs even more electrolytes and carbohydrates. The 250-calorie serving contains carbohydrates (maltodextrin and fructose) that use non-competing pathways to help maximize carbohydrate absorption and utilization while diminishing stomach distress. Sodium, the primary electrolyte lost in sweat, aids hydration by maintaining water balance. The amino acid taurine helps maintain heart contractility and improve cardiac output during long exercise sessions, while the amino acid beta-alanine helps promote formation of the intramuscular buffer carnosine.